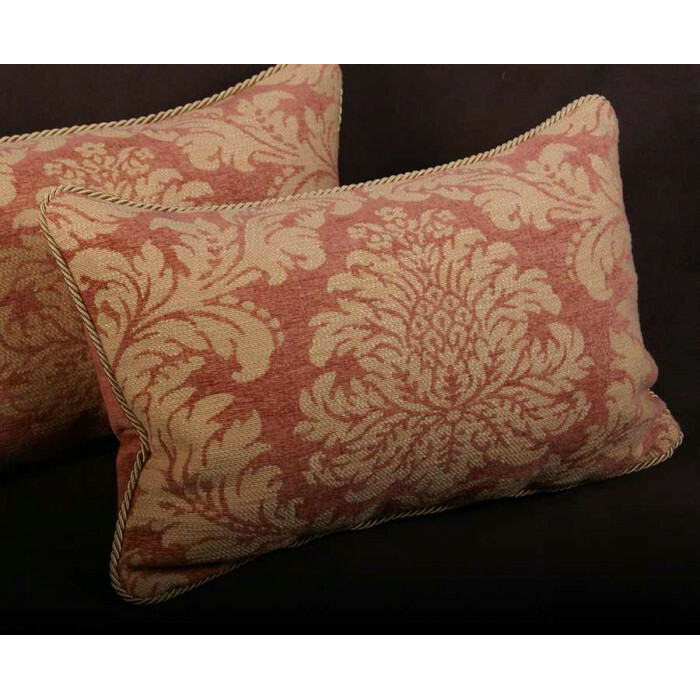 Timeless Decorative Pillows in Lee Jofa Stonethwaite Weave with Lee Jofa Velvet Backing for Luxury Interior Design Accents. 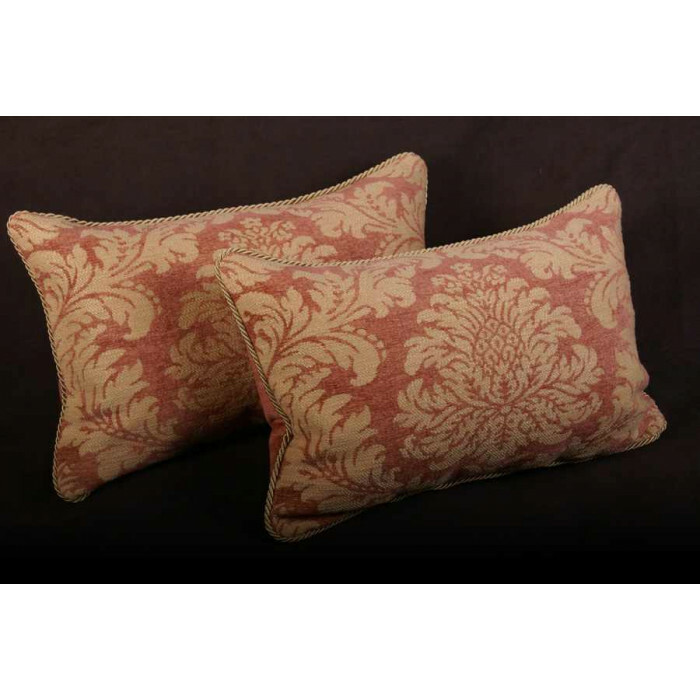 This stunning designer pillow will enhance Transitional and Traditional home decor styles. 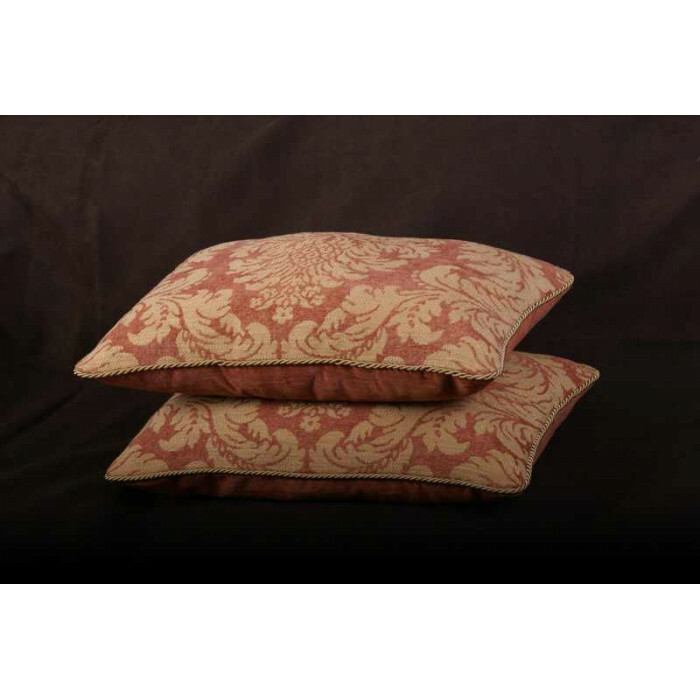 Discover heirloom quality Lee Jofa accent pillows for transitional and traditional home decor styles. 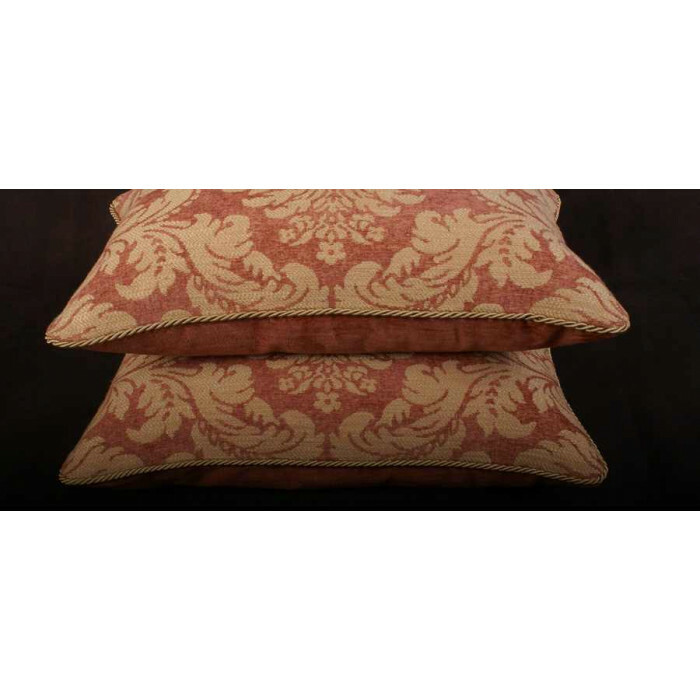 Stunningly exquisite, the soft and luxurious washed chenille Lee Jofa is an exceptional fabric and is a pleasure to behold and to touch. 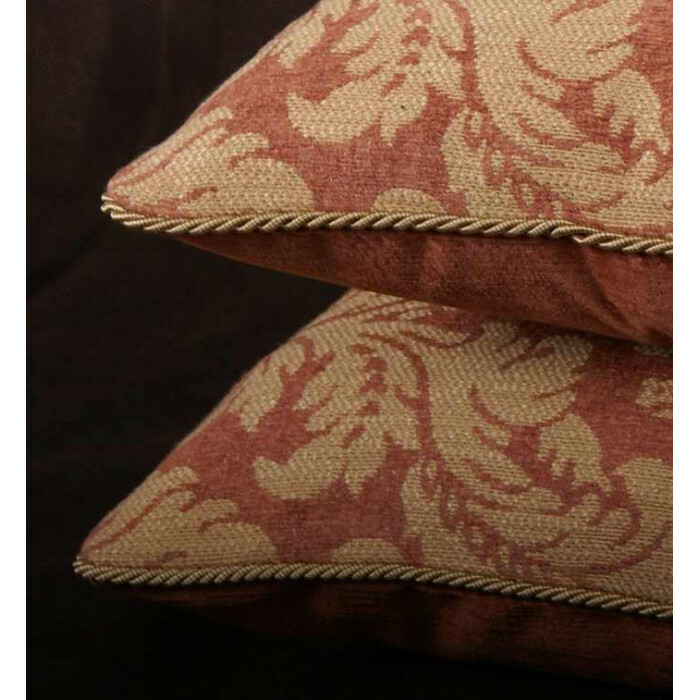 The highly sought after and published Lee Jofa is sold exclusively through designers for $179 per yard. 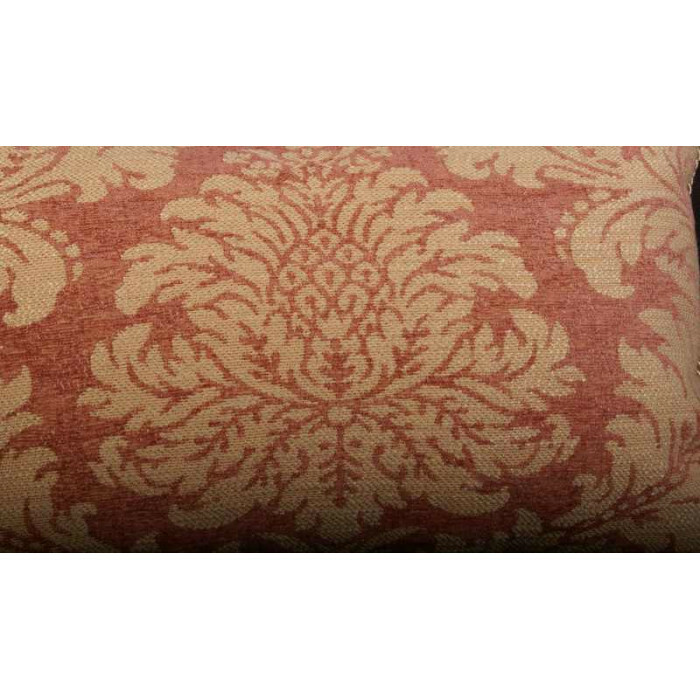 This fabric is of exceptional quality and is from the finest mill in the United States. 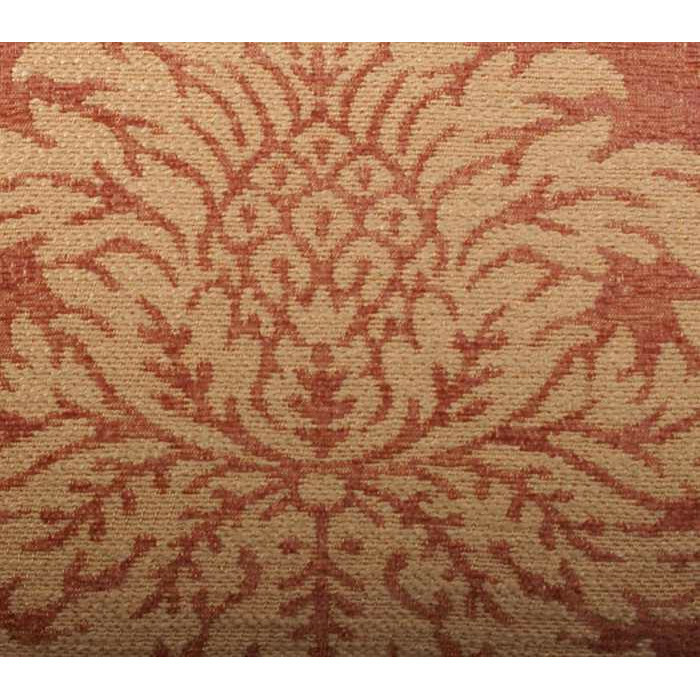 In terms of elegance and design the Lee Jofa woven is unsurpassed in a washed chenille damask. 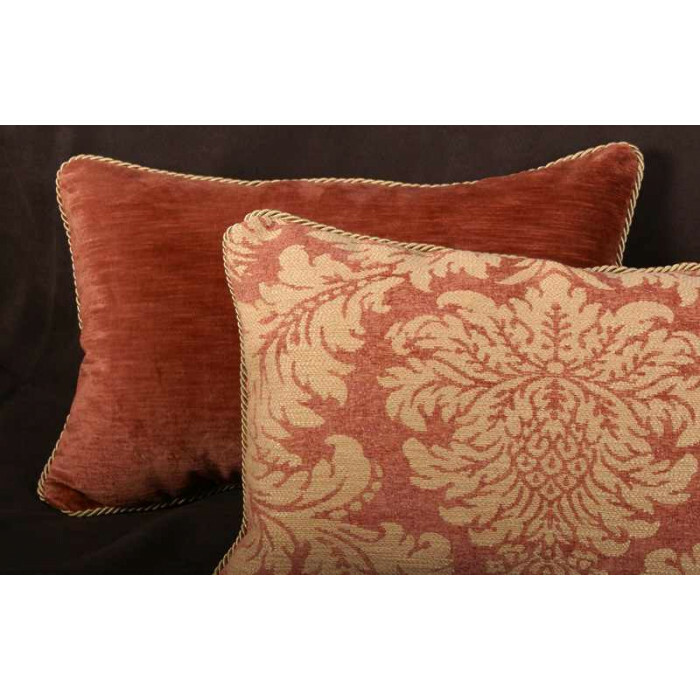 The perfect complimentary fabric, an amber Lee Jofa Italian cotton - linen velvet, is a pleasure to the touch and to the eye. The velvet is a finely crafted trade only fabric retailing for $196 per yard. 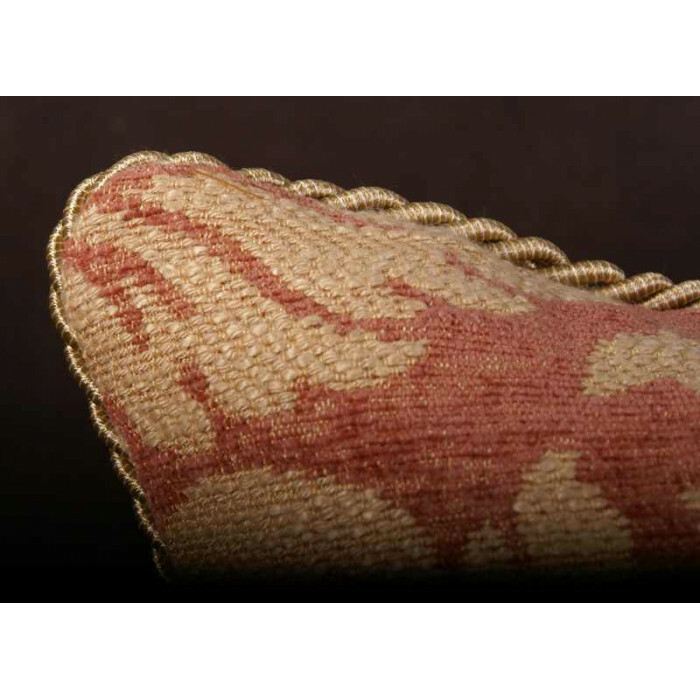 The designer cord trim is a exceptional addition to the two fine European and USA Made fabrics. 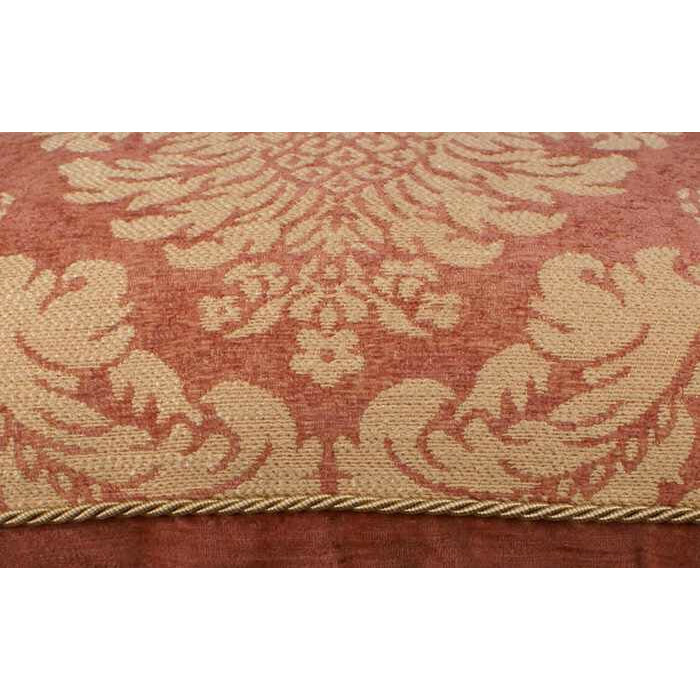 The perfect matching pale gold antique velvet is crafted by Lee Jofa and is a finely crafted fabric retailing for $196 per yard. 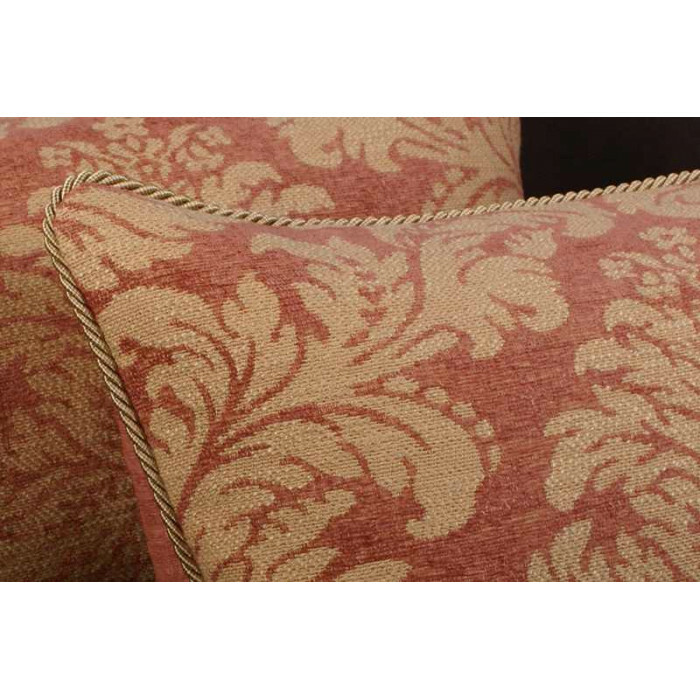 The Kravet Design cord trim is an exceptional compliment to these two fine European fabrics. 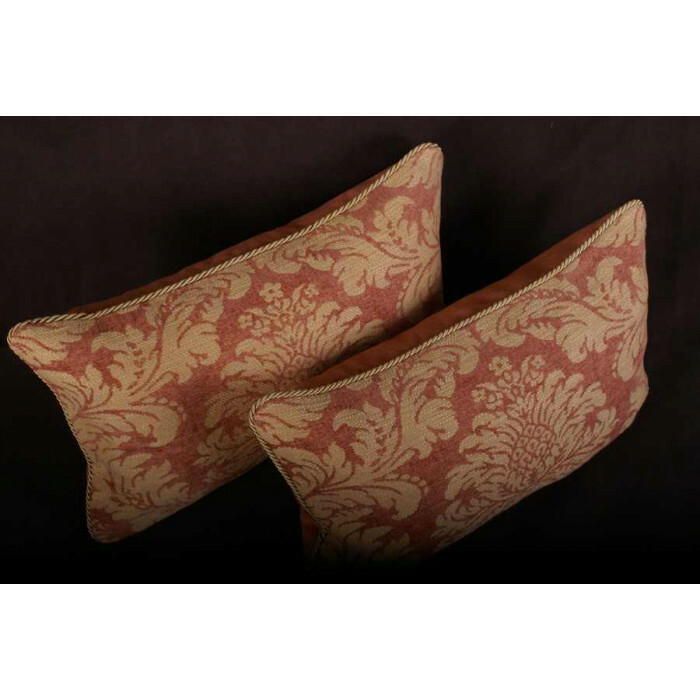 Select pillow insert and trim options to further personalize this pair of matching decorative pillows. 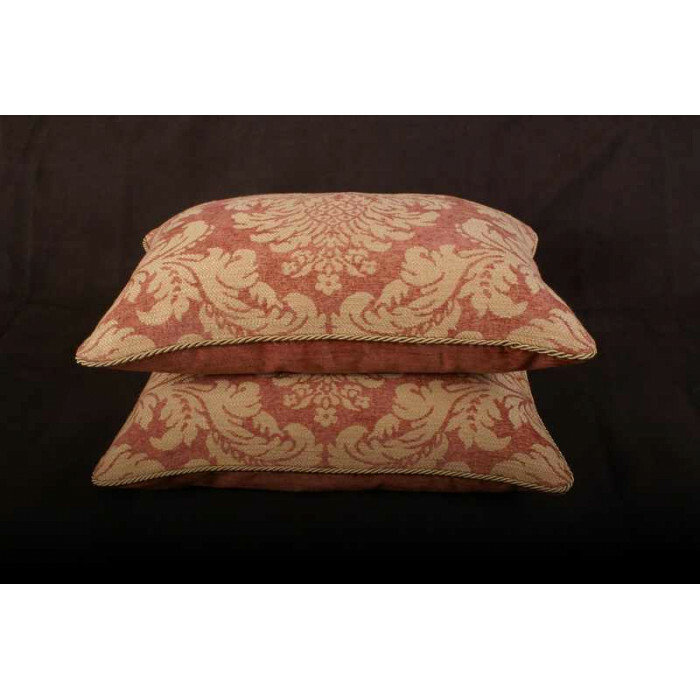 Pillows Size: 16" x 21"